A brand new year is stumbling out of the gate. As the hubbub of Christmas and New Year's ends, and we shovel ourselves out of yet another snowfall, all the while anticipating the next power outage, I'm trying to bring my focus around to the next big deadline I am facing. 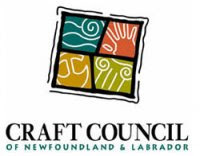 I have had a proposal accepted by the Gallery at the Craft Council of Newfoundland & Labrador for an exhibit in their main gallery, along with three other artists. Opening on May 10th and running until June 24th, "Elemental Nexus" will feature the work of Urve Manuel, Heather Mills, Colette Samson, and myself. Urve and Colette work in glass, Heather works in glass and metal, and I will be featuring my metalwork. In different ways we are each exploring the themes of interaction in the natural world. I am tackling this exploration from the perspective of the human impact on animal and bird populations, as well as on the topography of our environment. I am excited to be making some sculptural work as well as jewellery pieces for this show. The ideas in my head are bursting to find tactile expression on my workbench, and yet, as with every piece I make, there is a certain trepidation that the perfection I see in my mind's eye will fail to be executed satisfactorily by my (only too human) hands. I have begun work on this collection of pieces, but now I must ramp up production so that I don't feel rushed as the exhibition date nears. I would also like to gratefully acknowledge the support of the Newfoundland & Labrador Arts Council as I prepare this body of work. Their contribution will allow me a greater freedom in my choice of materials than I would otherwise have been able to incorporate. Without revealing too much before the opening of the exhibition, I hope to provide you with sneak peaks of the work as it comes together. As always, please visit my Facebook Page to stay up to date with my activities between these (approximately) monthly blog posts. 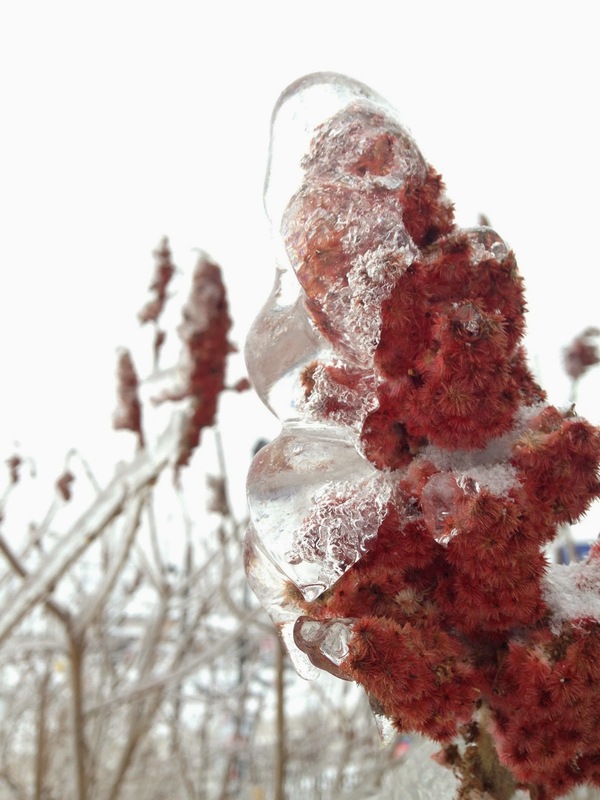 I will wrap this up with just a few images from my Christmas holidays in Ontario. Thank goodness for digital photography, as I certainly found lots of beauty that simply required photo-documentation! Hope you all had a safe and festive holiday, and all the best to everyone in 2014!